The sale of Northampton’s historic County Hall has been paused at the eleventh hour after a group of councillors used constitutional powers to force decision-makers to look again. The council’s cabinet approved putting up ‘for sale’ signs at the Grade II listed 18th century building last week (June 11) in a bid to reduce overheads and make much needed savings. But on Monday, just one hour before the deadline, a group of eight opposition councillors led by Liberal Democrat leader Cllr Chris Stanbra called in the decision on the grounds that it was not made according to proper procedure. It now means the ‘for sale’ agreement will be scrutinised by councillors who can choose to make the cabinet revisit the decision. Cllr Stanbra said: “The decision to sell off County Hall has not been gone into in any depth. “There has also not been enough detail or a viable plan. Cllr Stanbra said if County Hall was lost the authority would most likely have to hire a venue for full council meetings which mean further costs. The new council headquarters at One Angel Square, Northampton, which opened in October last year and has now been sold to a private equity firm, was built without a council chamber. Other councillors who backed the call-in were Cllr Dennis Meredith (Lib Dem), Julie Davenport (independent), Bob Scott, John McGhee, Julie Brookfield, Mick Scrimshaw and Jane Birch (all Labour). County Hall is one of the most historic buildings in Northampton and as well as being the venue for council meetings it is also used as the coroner court and the tourist information office. The proposed sale of County Hall was announced out of the blue on June 4 and just seven days later the proposal was signed off by the cabinet, which is led by Cllr Matt Golby. While deciding to sell off County Hall the cabinet has approved additional spending of £2.2m on Chester Farm. 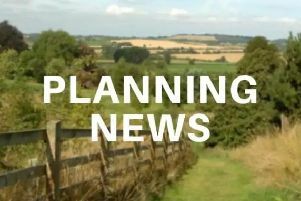 The £11m project to create a heritage venue at the historic farm site was jointly paid for by the council along with the Heritage Lottery but the authority did not manage to find a further funder as it had initially proposed to do. It therefore had to meet the funding shortfall. The scrutiny meeting to discuss the County Hall sale will have to be convened before July 3 according to constitutional rules. The financial situation at NCC is very grave. On top of paying back £12m into reserves, plus making £35m annual savings, it was announced yesterday (Tuesday) that the council also has to find another £8m to put back into public health services after misspending the funds in adult social care and children’s services last year.